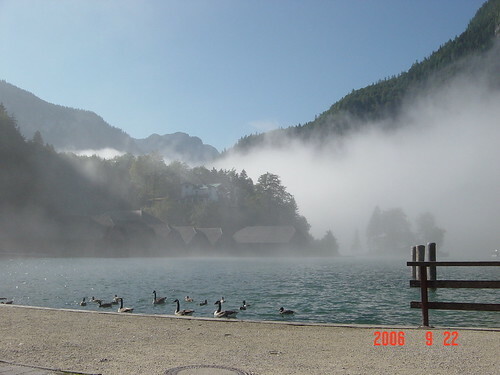 A few photos from our recent trip to Koenigssee. The Königssee is a lake located in the extreme southeast of the German State of Bavaria (Bayern), near the German-Austrian Border. 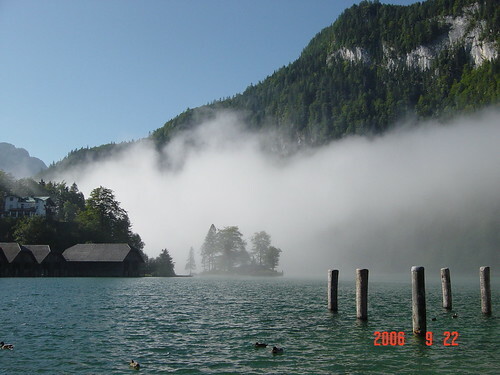 Lying near the Bavarian town of Berchtesgaden, just south of the Austrian city Salzburg in the German Alps, the Königssee (or literally translated King’s Lake) is the deepest lake in Germany. The lake was formed by glaciers during the last ice age. It is 7.7 kilometers long and about 1.7 kilometers acoss at its widest point. 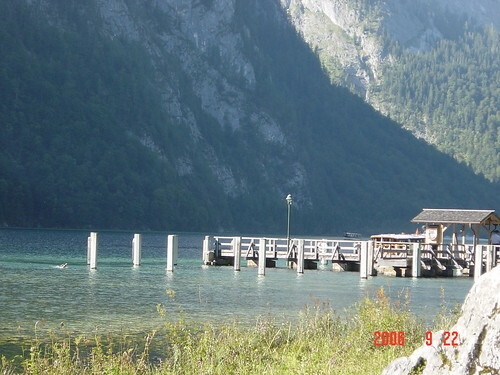 Except at its outlet, the Königsseer Ache at the village of Königssee, the lake is surrounded by steeply rising flanks of alpine mountains, including the fabled Watzmann. 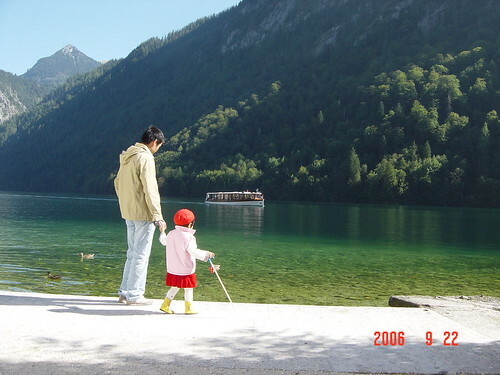 The lake is noted for its clear water and is advertised as the cleanest lake in Germany. For this reason, only electric driven boats, rowboats and pedal boats are permitted. 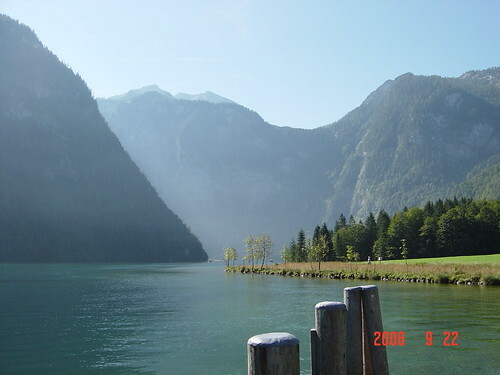 The lake and surrounding parklands are very popular with tourists and hikers. 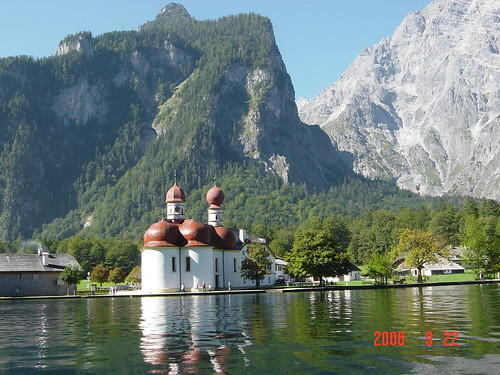 St. Bartholomä, a small and quite attractive monastery, is located about halfway down the lakeshore. 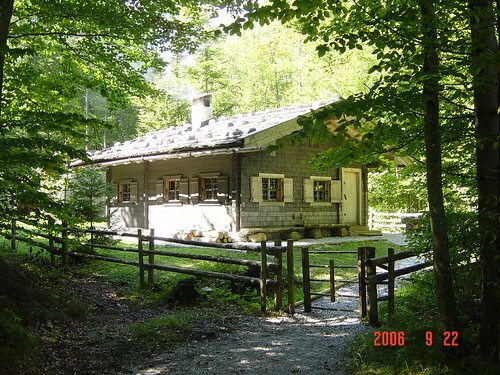 You are currently browsing entries tagged with koenigssee at Yan Feng.